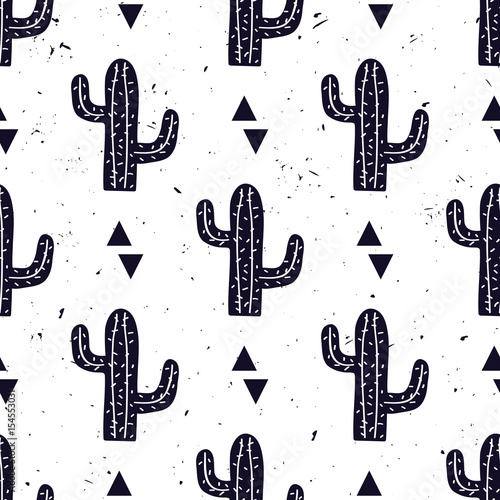 > Fototapety>Vector black and white seamless pattern with cactuses and triangles. Modern design for fashion, print, poster, card, textile. Scandinavian style. Fototapeta na wymiar Vector black and white seamless pattern with cactuses and triangles. Modern design for fashion, print, poster, card, textile. Scandinavian style.